We can see when we look out across the horizon of the trouble that is facing the world of our time, a terrible storm approaching; we can sense the danger within its immense power. But, we aren’t within the eye of the storm yet. This type of preparation for war-making by Israel’s enemies is nothing new. Arab forces united to attack the tiny Jewish state in the mid-1980s. They used Syrian-controlled Lebanon to stockpile tremendous amounts of weaponry that could be easily accessible once the assault began. Israel pre-emptively struck the areas where the weapons were stored, thwarting their enemies’ ability to carry through on their aggression. Israeli intelligence again knows that the Arab-Islamic haters of Israel are preparing to launch a strike. This, plus Iran proceeding full speed with Russian help to produce weapons-grade nuclear materials, has the Israeli Defence Forces (IDF) on high alert. And, this has put the entire international community on alert. We could say that since the end of 1948, the Israeli home front has not faced the kind of offensive that it is facing now. Never before, including during the Yom Kippur War in 1973, has Israel’s North been bombarded with such power. Even during the First Gulf War, only a small number of missiles landed in Israel. The ongoing warfare in Gaza; Despite all attempts at controlling the violence, Hamas forces still continue to launch missile attacks at Israel. The Hezbollah army in Lebanon is allied with, and supplied by Iran which is a declared enemy of Israel. Logically, with Iran funding and directing Hezbollah, the necessity of holding Iran accountable for the actions of Hezbollah is necessary. Unfortunately this is compounded by the fact that Hezbollah is a political entity within Lebanon. Further, Syria is aiding and supporting this by providing supply lines for logistics to the Hezbollah. -- To the North is Turkey, which does not over-much like the Syrians. --To the East is Iraq and quite some number of US and coalition soldiers and a large amount of airpower. --To the south is Jordan, and a relatively quiet regime not involved with much of anything, who has just told Hezbollah they are not acting legitimately. Jordan has suffered from some al Qaeda terrorism. And, they have little in the way of offensive arms or capability. -- Then there is Israel, which Syria is trying to bring down and harass into submission. Basically, Syria is hoping that Israel will be ‘nice’ and just take out Hezbollah, which Syria supports. Syria, by marrying its Foreign Policy up to Iran, is now finding that it is the proxy war State and not Lebanon. Which leaves Iran and Israel; Iran has made it abundantly clear that genocide and a total destruction is what it wants to see in the Middle East. Iran does not even formally recognize Israel as a county and the Iranian Government often simply refers to Israel as a "Zionist entity" or "Zionist regime." It was the Ayatollah Khomeini who first declared Israel as the "enemy of Islam." "Some European countries insist on saying that during World War II, Hitler burned millions of Jews and put them in concentration camps. Any historian, commentator or scientist who doubts that is taken to prison or gets condemned. Although we don't accept this claim, if we suppose it is true, if the Europeans are honest then they should give some of their provinces in Europe—like in Germany, Austria or other countries—to the Zionists and the Zionists can establish their state in Europe. You offer part of Europe and we will support it." Syrian President Bashar Assad said his country would regain the Golan Heights, "by peace or war" and affirmed Syria’s ties to Iran, in an interview with Qatari Newspaper on the 3rd of April, 2009. "The day must come and we will liberate (the Golan Heights) by peace or war," he told the A-Sharq Newpaper. "When a citizen looses hope, he walks toward the ‘resistance’ (Israel) in one way or another." Bashar Assad also stated that any effort to lure Syria away from Iran would be futile, "How can we disengage these ties while Iran stands with us in a difficult stage and stands with the Palestinian cause?" Resistance is a code word for violence and terror and is used to describe groups such as Hamas in the Palestinian territories and Hezbollah in Lebanon. These remarks were made the day after Israel’s new Foreign Minister said he opposed any withdrawal from the Golan Heights in exchange for a peace deal in Syria "I am very much in favour with peace with Syria but only on one basis – peace in return for peace." The prophet Ezekiel foretold a future attack from Israel’s enemies. Ezekiel chapters 38 and 39 lay out the scenario of forces from Israel’s north that will assault the Jewish state with the full intention of obliterating it. That enemy coalition will, many prophecy students believe, be led by a Russian leader the Bible calls "Gog." Isaiah the prophet foretells in chapter 17 verse 1 that the Syrian capital, Damascus, will suffer a destructive blow that will leave it a heap of rubble. It will never again rise from its ashes. It’s more than merely interesting that Damascus is headquarters for Hezbollah and most all other terrorist organizations in the Middle East. It’s more than just interesting, also, that Israel possesses weapons that could easily do the destructive job on Damascus predicted in Isaiah 17:1. God’s omniscient computer depicting end-time foul weather is, of course, perfectly accurate. We can thereby discern our times, if we but apply ourselves to study, prayer and observation. This storm is coming because the Church (the Body of Christ) is no longer the backbone of the Nation of Israel. From our inception, the Christian faith has been the plumb line of decisions made at all levels of life. However, there are only a small minority of radical Christians that love Israel that stand with and support Israel. Let’s take a look back at Ancient Israel and a unique man whose life was intertwined with God’s chosen people. The prophet Elijah was one of the most compelling and dynamic figures in the bible. Elijah has been referred to as the prophet of prophets. J. Oswald Sanders writes in his book, "Robust in Faith", that Elijah appeared at zero hour in Israel’s history. He flashed like a meteor across the inky blackness of Israel’s spiritual night. Ancient Israel was in dire need of deliverance from her sinful ways and Elijah was the divine voice sent to address that need. Elijah’s name means, "Yahweh is My God" or "My God is Yahweh!" This great prophet realized his calling was to declare the word of Yahweh to the idolatrous nation of Israel. The eminent destruction of Israel was pending because of God’s judgment upon His own people. Let it be noted here that most biblical scholars acknowledge Yahweh as the proper spelling and pronunciation of God’s covenant name. Exodus 3:13-15 records this personal Covenant Name being given to Moses before he was sent to Egypt. Names have deep significance and this principle certainly applies to the God of the universe! Exodus 6:6 says that Yahweh means REDEEMER and DELIVERER. This loving and merciful God sought to call His people back to His loving abode, but the rebellion ran deep in the land of Israel. Yahweh had given His people His laws and commandments through Moses at Mount Sinai. They were Yahweh’s laws and not those of Moses. These commandments represented the very heart of Yahweh and Deuteronomy 6: 6 stated; that they were to be placed upon their hands and foreheads and write them on the doorpost of their house and gates. The people rebelled against Yahweh’s Covenantal Laws and Elijah was sent to restore that covenant agreement with Him and Israel. This historical record shows that Israel wouldn’t listen and repent and her destruction soon followed. Let’s get very specific about Israel’s national dilemma and the solution to it. The Apostle Paul used the Greek word "Nomos" to describe law, but the Hebrew word TORAH is a broader term. TORAH means, "Instruction" and Teaching" and can be called Yahweh’s "Instruction manual for life"! The essence of the word TORAH literally means, "To Hit the Mark" -- It comes from a Hebrew root word meaning, "To Take Aim at a Target". The Torah, or His Law, is Yahweh’s aim for us. The opposite of Torah is, "Chata", which means, "To Miss the Mark". Chata is the word translated as "Sin" in the Bible. We’ve just isolated the problem and solution which are contained in the above lines. We are missing the divine mark of a Holy and Righteous God! Secular Institutions, individuals, and yes, even many of our Churches are missing the divine mark set by our Elohim God, Yahweh! Yeshua Jesus said in Matthew 24:12 that lawlessness, or the state of Torahlessness, would predominate at the time of the end. The signs given in the passage mentioned certainly give strong evidence that the end time is staring us smack in the face! Let’s be crystal clear about the Bible, or the law, it cannot and does not save one, but it is the mark or standard we strive to hit in our lives. The consistent message of Israel’s prophets was a call to repent and turn back to the covenant terms expressed in the Old Testament. The prophets said, "Repent because you’ve broken the Law"! The prophets also looked forward to the kingdom of Yahweh on earth when His Word would be universally obeyed! Isaiah 2 and Micah 4 state this very clearly! Isaiah 30:21 says the word will go out, "This is the way, walk in it!" Yahweh’s way is our mark! It is the path which will lead us back home and redeem us nationally. Jeremiah 6:16 instructs us to ask for the ancient paths for they will give us rest and peace! It is the good way and walking in it will bring healing and blessings. Prayer is great, but we must also seek to make changes in our lives as we seek God’s will. We have to move out of our comfort zones and be willing to trust, obey and follow Yahweh’s instructions. That is our only hope for national salvation from the gathering storm! The spirit of Elijah and his fellow prophets are rising in power to declare the word of Yahweh! It has come time for the word of God to go forth in this hour to a rebellious and disobedient world! Rest assured no power on earth can stop the voice of Yahweh from going forth! The Books of Old Testament -- Though at times can be difficult to read are very important and a part of God's Word given to us. These books contain a lot of history! God does not need to give us a history lesson but as we approach them especially those unfamiliar areas, as if there is something there that we need to know we are sure to find hidden treasure. God is not a clanging gong or a clashing cymbal that He should repeat anything unnecessarily. He also did not speak these words for our entertainment. There is a lesson to be learned in everything He said in the entire Bible. The first question one should ask is, "Why?" Lord, why did you write this? We have historians and historical documents to give us the history of Israel. That was then, this is now. So the second question is then, "What does this have to do with me? We are approaching the time of Jacob’s trouble. This will be the worst time of persecution in history, first for the Jew and then for the Christian (Gentile). When persecution hits; which day we worship or how we worship will not be as important as to Whom… we worship! The supernatural blessings that will be released when the church evangelizes the Jew are needed now! The salvation of Israel is necessary for the emergence of the Elijah generation. And the Elijah generation will prepare the way of the Lord. The Gentile Christian needs the piece of the puzzle the Jewish believer has and the Jewish believer needs the part of the puzzle the Gentile Christian has. And we all need Yeshua. Yeshua (Jesus) made it clear in Matthew 17:10 - 13 that "Elijah" in Malachi’s prophecy (Malachi 4: 5 – 6) was referring to John the Baptist. Luke 1:17; says that John would walk "in the spirit and power of Elijah." In other words the same spirit that was on Elijah would be on John. John’s role in the New Testament was to be almost identical to that of an Old Testament prophet, Elijah to encourage people to turn away from sin and back to God. What about the rest of the prophecy? Paul tells us the "fathers" of the faith are Jewish (Romans 9:4 - 5). The "children" represent Christians because they have received a spiritual heritage from the Jewish "fathers"— Abraham, Isaac, and Jacob. And Yeshua (Jesus) Himself was and Jew as far as His human nature is concerned. So Malachi is warning us that if there is not a union of Jews and Christians in the last days, we will receive a curse instead of a blessing. Jesus came to break down the wall of separation between Jews and Gentiles (Ephesians 2:14). However, today, the wall is even higher. Amos prophesied what will happen when this wall is removed. He says when the Tabernacle of David (representing Jewish intimacy with God) is restored, it will result in mass Gentile revival. The harvest will be so great that "the plowman shall overtake the reaper" (Amos 9:11 - 13). Remember, the favour of Genesis 12:3 followed the Jewish Tabernacle. Wherever the Tabernacle went, there was blessing. When the Jewish people are restored to the olive tree, it will bring the blessing of God. "Now if [the Jewish people’s] fall is riches for the world, and their failure riches for the Gentiles, how much more their fullness! For if their being cast away is the reconciling of the world, what will their acceptance be but life from the dead?" Get ready for the new outpouring of God’s Spirit on the dry, dead bones of Israel. It will break down the wall of separation between Jews and Christians leading to the emergence of the One New Man. It will bring blessings and resurrection life back to the church. It will release the greatest revival in history. (See Newsletter Study Article – ‘One New Man’ - August, 2009). The devil will not take this lying down. Watch out for the greatest deception in church history. Replacement theology will be rampant. This untruth teaches that the Christian has replaced the Jew and the church is the new Israel. Some Gentile Christians even now say they are the Lost Tribes of Israel. During these very difficult times we need to know our identity. The ancient Rabbi’s wrote "Jehovah had created seven seas but the Sea of Gennesaret is His delight." They were so close to the truth – not realizing it!" They were referring to the beautiful blue sea of Israel usually called the "Sea of Galilee." 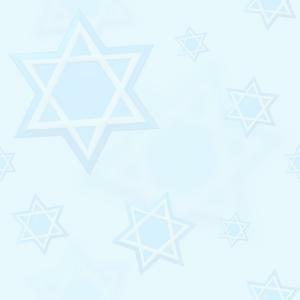 Personally we like the name "Gennesareth" as it reminds us of the true prince of God, Yeshua. The Sea is 21 kms long and 13 kms wide and reaches a depth of 45 m. The whole area is some 208 m below sea level. It has a number of names in the Bible. It is called "Galilee" because the name means "a ring." Gennesaret means "the garden of the prince." Tiberias means "good vision" and in Deuteronomy 3:17 it is called "Chinnereth" meaning "the harp shaped." Chorazin, Gadara, Gergesa. His Words and His Works were a tremendous blessing to the people of the area and the four Gospels tell of incidents both on the shores and waters of the sea. Capernaum was once the headquarters of the Messiah’ ministry when He came there from Nazareth. 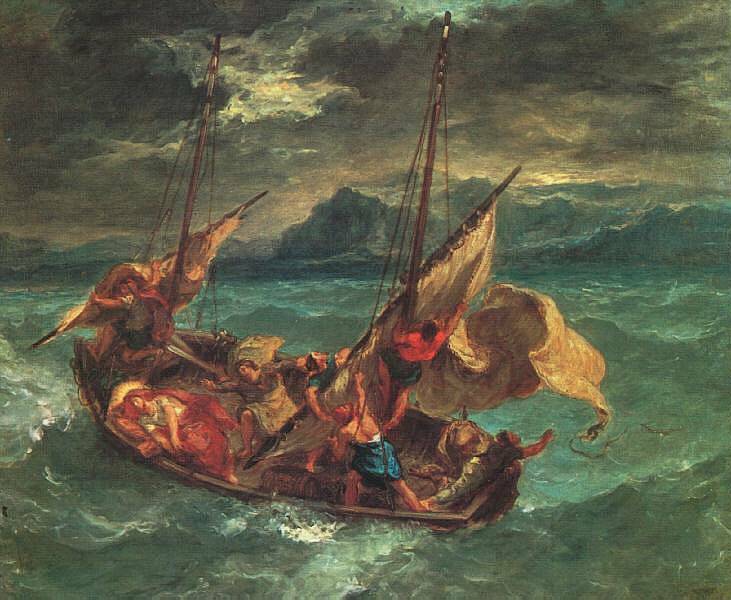 The Sea of Galilee is notorious for its sudden storms. Winds sweep into the area and in the afternoon especially, the water can be whipped into a frenzy. In Matthew 14: 34 and Mark 6: 53 we read of the land of the Gennesareth. Messiah Jesus had come to His disciples, who had crossed the lake by boat in the storm, by walking on the water to them. When He was received into the boat the storm ceased! Just as the storm ceased when Jesus was received into the boat so will the storms threatening Israel cease, when they accept Him as their Messiah.